Off On A Tangent: [Video] Michael Stelzner: Who's Doing Video Marketing Well? 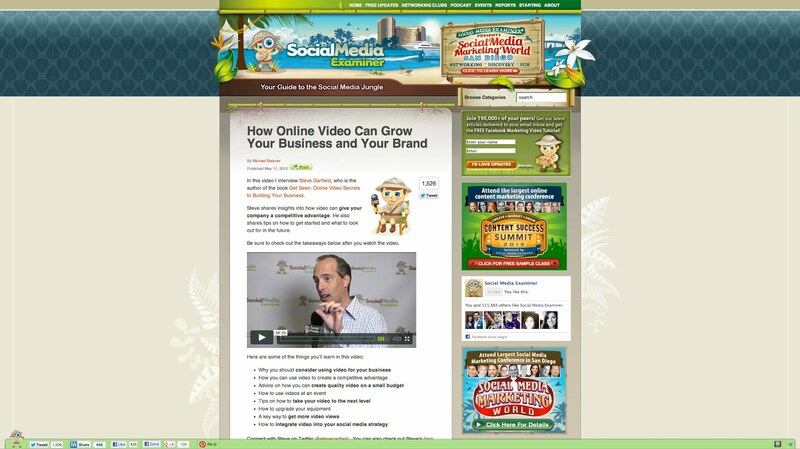 [Video] Michael Stelzner: Who's Doing Video Marketing Well? Disclosure: I demoed the camera and mic as part of the PENREADY program. Pep Boys! Great service. Thank you. What if you Google: Beef Stew with Beer?